Modern western education finds its origins in the practices, systems and schools of the ancient Greeks and Romans. It is in the field of education, in fact, that classical antiquity has exerted one of its clearest influences on the modern world. Yet the story of Greek and Roman education, extending from the eighth century B.C. into the Middle Ages, is familiar in its details only to relatively few specialists. Containing nearly 300 translated texts and documents, Greek and Roman Education: A Sourcebook is the first book to provide readers with a large, diverse and representative sample of the primary evidence for ancient Greek and Roman education. A special feature of this Sourcebook is the inclusion not only of the fundamental texts for the study of the subject, but also unfamiliar sources that are of great interest but are not easily accessible, including inscriptions on stone and Greek papyri from Egypt. Introductions to each chapter and to each selection provide the guidance which readers need to set the historical periods, themes and topics into meaningful contexts. 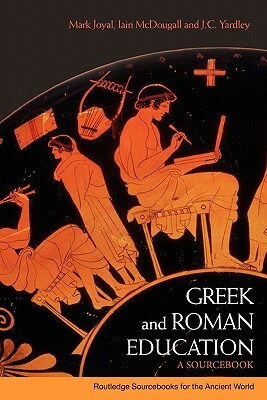 Fully illustrated and including extensive suggestions for further reading, together with an index of passages explored, students will have no further need for any other sourcebook on Greek and Roman education.